UNITED NATIONS, Jul 17 2018 (IPS) - New York has long been considered a pioneer – in fashion, art, music, and food, just to name a few. Now this city of 8.5 million is leading a shift in how we tackle today’s toughest global challenges like climate change, education, inequality, and poverty. 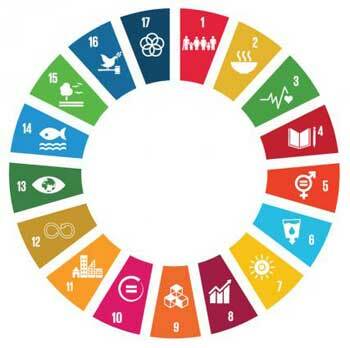 These issues are at the heart of the Sustainable Development Goals, an agenda agreed by all nations in 2015 that chart a path for people, prosperity, and the planet. This July, New York is joining countries at the United Nations to report on its progress and to share experiences, becoming the first city to do so. It makes good sense for New York and other cities to spearhead progress on these global goals – including the need for decent housing, public transport, green spaces and clean air. More than half of the world’s 7 billion people currently live in cities, and by 2050 that number will be closer to 70%. By 2030, there will be over 700 cities with more than a million inhabitants. Urban growth is happening fastest in developing countries, which often struggle to meet the demand for quality municipal services and have little experience in planning. Rapid growth can also push up the prices of housing and energy, and can increase pollution, threatening the health and well-being of millions. Cities are also financial powerhouses, generating 82% of global GDP, yet they also account for 70% of global greenhouse gas emissions, use 80% of the world’s energy, and generate over 1 billion tonnes of waste per year. Inequality within cities on issues like income, health, and education are also a big challenge. Cities are a fulcrum for sustainable development worldwide and crucible for the achievement of the Sustainable Development Goals. Unleashing the power of cities to help solve global challenges means linking local plans to national plans, and also to global agendas. Cities are already showing how to lead by example on one of our most pressing global challenges: climate change. The global Covenant of Mayors for Climate and Energy is an alliance of cities and local governments working to combat climate change and move to a low-emission and resilient society. This group has commitments from over 9,000 cities and local governments from 6 continents and 127 countries. The Global Climate Action Summit in San Francisco this September is another example of how cities, as well as states, regions, companies and citizens, are coming together to show how every group can do something and accelerate action. Which brings us back to New York. Cities are on the frontlines of nearly every global challenge we currently face, and they need to be at the center of our strategy to solve them. The urban development of yesterday will not suffice. By using the Sustainable Development Goals as their guide, New York is showing how cities can adapt their plans to mirror development plans, allowing them to grow in the most sustainable way possible while creating policies for the things people living in cities need. Things like jobs, affordable housing, good education, quality health care, clean air and good waste management, just to name a few. Getting cities right can provide opportunities to address poverty, migration, employment and pollution. We invite all cities to join New York and help lead the way in planning for a shared and sustainable future that benefits all people of the world. On 17 July 2018, the UN will host an event at the High-level Political Forum: ‘The SDGs in Action – Working together for inclusive, safe, resilient and sustainable cities and human settlements. The event will focus on how cities and human settlement are accelerating progress towards the Sustainable Development Goals and contributing to a transformation towards sustainable and resilient societies.